Jane Penfield will be demonstrating at the Newington Art League meeting at the Newington Senior and Disabled Center, 120 Cedar St, Newington, CT on Wednesday, March 13, 2019 at 6:30 pm. This demonstration is free and open to the public. Award-winning artist Jane Penfield is drawn to nature, as well as to the human influence on it. She is especially attracted to elements that evoke light, drama, and emotion. Her work is an impression of light and life as she has experienced it through walking, travel, and direct observation. 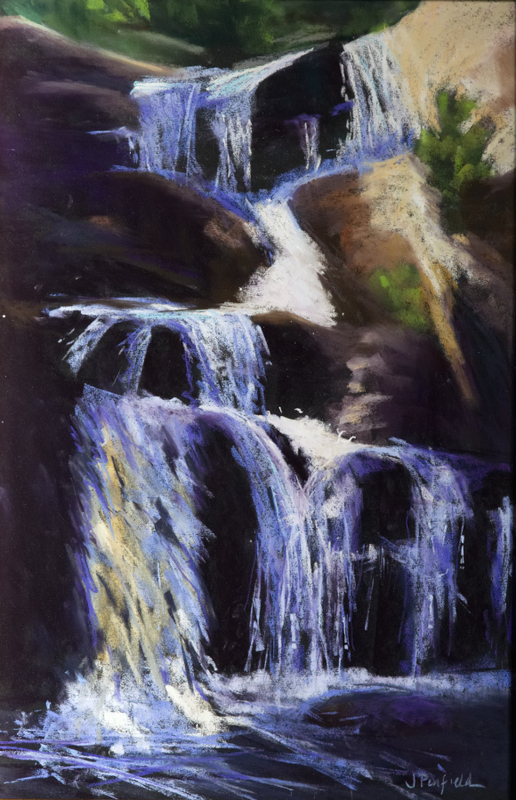 Jane is a Signature member of the Connecticut Pastel Society, a juried member of the Pastel Society of America, the Salmagundi Club of N.Y., Lyme Art Association, Academic Artists Association, and other organizations. She serves as President of the board of directors of Arts Center East in Vernon, Connecticut. Her work has been included in juried exhibits at the Slater Memorial Museum and The New Britain Museum of American Art. Her work has won numerous awards, including a recent Best in Show at the Tolland County Art Association. She was an award winner in the 2017 Pastel 100 competition, and featured in the April 2017 edition of the Pastel Journal.